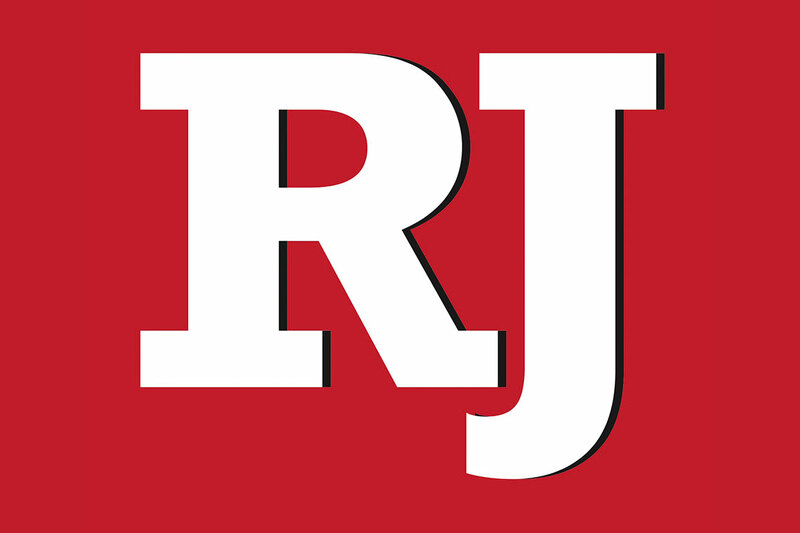 Read about news and events from across the Summerlin area. Ward 2 Las Vegas City Councilman Bob Beers plans to host Coffee with the Councilman from 7:30 to 9 a.m. Nov. 14 at the Bagel Cafe, 301 N. Buffalo Drive. Residents are invited to come talk about what is happening in Ward 2 and the city of Las Vegas. Beers plans to meet with residents 21 or older during Beers with Beers from 5:30 to 7:30 p.m. Nov. 20 at John Cutter’s Saloon & Grill, 11770 W. Charleston Blvd. For more information, call 702-229-2144. The Clark County Commodore Computer Club plans to meet from 9 to 11 a.m. Nov. 15 in the Business Center inside Total Wine & More at Boca Park, 730 S. Rampart Blvd. The club is for enthusiasts of the Commodore line of computers as well as users of all computer platforms and tablets. The public is welcome to attend. Free door prizes for all attendees will include a Gear Head wireless mouse and LoJack laptop security and recovery system. Meetings are set to resume in January as the club will be on break during December. For more information, contact Forrest Nettles at flnettles@hotmail.com. The Jewish Genealogy Society of Southern Nevada plans to meet at 1 p.m. Nov. 16 at the Sahara West Library, 9600 W. Sahara Ave. The topic is scheduled to be Social Media for the Genealogist, regarding what is available and how to make use of Facebook and other sites. The society is set to meet at 1 p.m. the third Sunday of each month. Meetings are free and open to the public. For more information, visit jgssn.org or contact president Abe Simon at abe_simon@cox.net or 702-523-9874. The National Association of Retired and Veteran Railroad Workers plans to meet at 10 a.m. Nov. 18 at Mad Matty’s, 8100 W. Sahara Ave.
One of the group’s goals is to keep people knowledgeable about political actions that affect their pensions. Meetings are a good way to stay connected, meet others who worked in the industry and share tales from days on the job. For more information, visit narvre.info. Dr. David Damore, associate professor of political science at UNLV, is scheduled to speak at 1:30 p.m. Nov. 18 during the Active Adults meeting at Temple Beth Sholom, 10700 Havenwood Lane. The topic will be Consequences of the 2014 Elections. Dr. Damore teaches undergraduate and graduate courses in American politics and research methods. For more information, call 702-735-0414 or 702-382-6456. Better Conversations Week starts Nov. 24, and a discussion on how to have better conversations is scheduled from 5 to 7:30 p.m. Nov. 24 in the multipurpose room of the Sahara West Library, 9600 W. Sahara Ave. The event is hosted by “Dr. Conversation” Loren Ekroth, author of “Better Conversations” and founder of Better Conversations Week. The cost is a donation of $10. To RSVP, email loren@conversationmatters.com. The United States Tennis Association-Nevada is offering free tennis lessons to all ages. Participants are asked to visit ustanevada.com to complete the registration form. They will be emailed a certificate to take a free tennis lesson at any of the participating facilities. Free loaner tennis rackets are available through USTA-Nevada’s Racquet Recycle Program. Everyone who registers will receive a free Nevada Tennis Association membership, which includes a newsletter and special invitations to community tennis events. For more information, email freetennis@ustanevada.com or call 702-792-8384, ext. 101. Walker Furniture is accepting nomination letters through Dec. 5 for its 21st annual Home for the Holidays program, which provides families in need with a houseful of brand new furniture. Walker CEO Larry Alterwitz plans to help a record-breaking 30 families in need. HELP of Southern Nevada will identify which nominated families display the most genuine need for new furnishings. Nomination letters come from teachers and students, health care professionals, social service workers, clergy, friends, neighbors and family. Past recipients included a single-parent family of five, where one child had a brain injury that required ongoing therapy and the entire family was sleeping on the floor; a family that lost all of its possessions in a fire; four minor children whose mother was shot and killed by their father and are now being raised by their grandparents; and a single, working mother of five who was unable to provide her family with beds, chairs or a dining table. Nomination letters can be sent to Larry Alterwitz, CEO Walker Furniture, 301 S. Martin Luther King Blvd., Las Vegas, NV 89106, emailed to cnelson@walkerfurniture.com or faxed to 702-384-7772. Catholic Charities of Southern Nevada is calling on the community to help collect 2,000 frozen turkeys for this Thanksgiving holiday. One of Catholic Charities’ annual traditions, for the last 28 years it has been organizing a Thanksgiving basket giveaway that provides a frozen turkey, nonperishable dinner fixings and pie to its most vulnerable clients. It is the valley’s largest turkey giveaway, serving approximately 4,500 families. Catholic Charities’ staff members store the frozen turkeys in freezer trucks. In addition, outside the campus, there will be a “turkey thermometer” keeping a count of how many turkeys have been donated each day. Frozen turkey donations will be accepted from 9 a.m. to 8 p.m. Monday through Saturday through Nov. 24 at Catholic Charities’ Rainbow Thrift Store, 915 S. Rainbow Blvd. Volunteers are also needed to help clients shop and assemble baskets to be given away from now until Nov. 24. Volunteers can sign up at catholiccharities.com or email volunteer@catholiccharities.com. 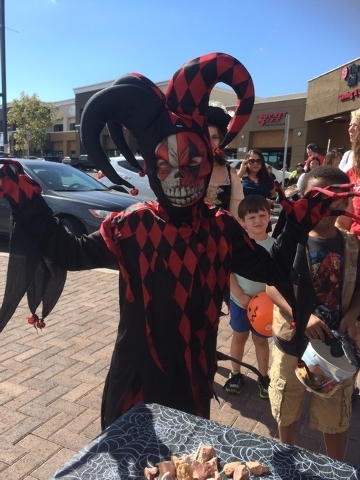 The Toy Box is open in Downtown Summerlin at 1980 Festival Plaza Drive, Suite 175. Owner Justin Archbold prides himself on carrying hard-to-find items that other stores don’t carry and showcasing iconic pop-culture products. The 2,717-square-foot space’s continually updated inventory includes action hero figures, collectible card games, board games, stuffed animals, rare candies and sodas. The Toy Box is open from 10 a.m. to 9 p.m. Monday through Saturday and 11 a.m. to 7 p.m. Sunday. For more information, call 702-776-8690 or visit toyboxlasvegas.com. The AARP Foundation’s Tax-Aide program plans to offer free tax assistance and preparation for taxpayers with low to moderate income. In its 46th year, the program is the nation’s largest free tax assistance and preparation service, giving special attention to the older population. The service is offered in conjunction with the IRS and is open to anyone, not just AARP members. Last year in Nevada, 260 volunteers helped more than 12,700 people file federal tax returns and answered tax-related questions. The program is offered at senior centers, libraries and other convenient locations. The program needs volunteers. Tax volunteers must complete a tax preparation workshop from the IRS before working with taxpayers. There is also a need for grass-roots leadership, on-site greeters and those who can provide language assistance in Spanish, Mandarin or Cantonese. For more information, visit tinyurl.com/4r34r8v or call 888-227-7669.